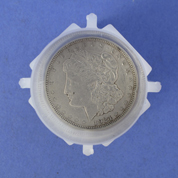 The 1921 Silver Morgan Dollar gained its fame by being struck under unusual conditions. This was the first standard silver dollar that was minted since its denomination stopped because of the passing of the Fourth Coinage Act. This Act also ended the free coining of silver. 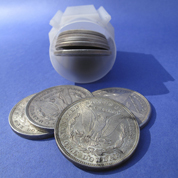 It was named for its designer, assistant engraver to the US Mint Department, George T. Morgan. 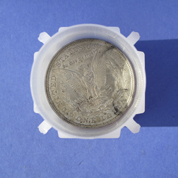 On its obverse is a profile of Lady Liberty. On its reverse stands an eagle with outstretched wings. 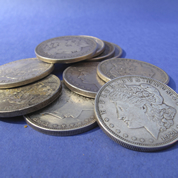 At the time, the coinage laws required the maintenance of specific numbers of the various coins in circulation in order to uphold the balance and serve the need for coinage currency during those years. It was actually supposed to be the year of the silver Peace Dollar, which was still in the process of being designed and struck. 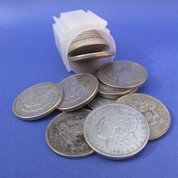 The silver Peace Dollar, however, was not ready by the time the public needed the $1 coin released into circulation if the numbers of needed currency were to be met. 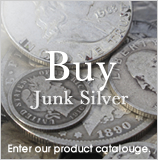 Silver coin shortages could be dangerous for the growing US economy. "But no change in the design or die of any coin shall be made oftener than once in twenty-five years from and including the year of the first adoption of the design, model, die, or hub for the same coin: Provided, That no change be made in the diameter of any coin: And provided further, That nothing in this section shall prevent the adoption of new designs or models for devices or emblems already authorized for the standard silver dollar and the five-cent nickel piece as soon as practicable after the passage of this act." 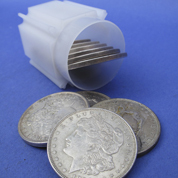 Another provision called "The Pittman Act" served to authorize coinage for replacement for every silver dollar that the act had ordered to be melted. 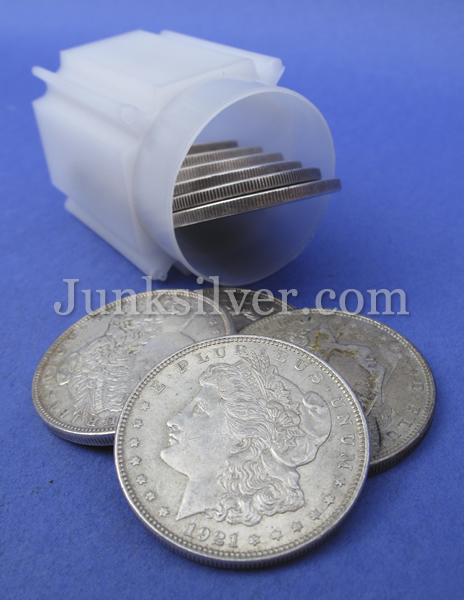 Since all obsolete coinage dies had been destroyed in 1910, the designer, George Morgan, was forced to create an entirely new master die for the junk silver dollar. 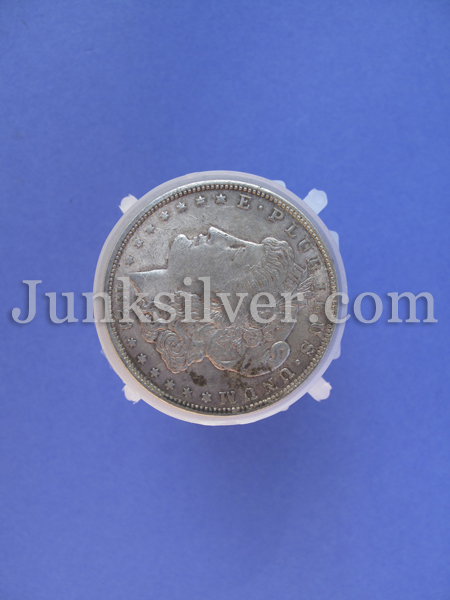 Morgan silver dollars are extremely popular and sought after world-wide. 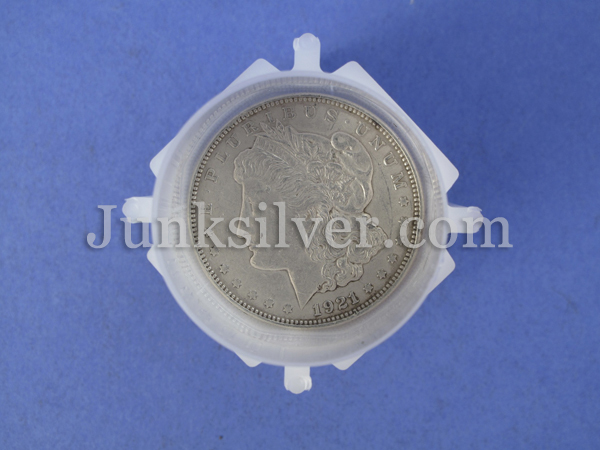 They are classic silver coinage that impressed the public by how magnificently detailed and how cleanly the design worked when struck, while holding intrinsic patriotic feelings within the design. 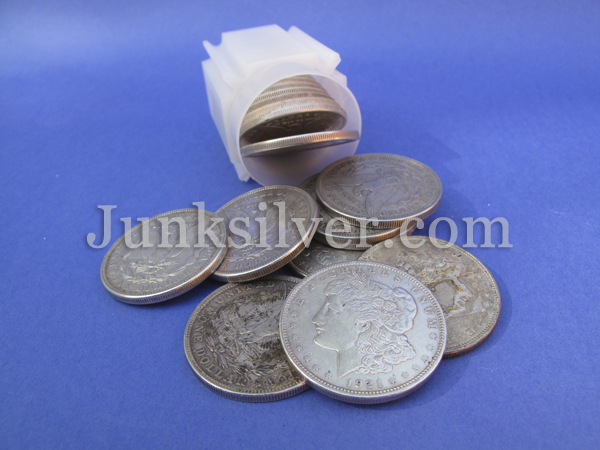 They also were made from 90% silver, giving them intrinsic silver bullion value for the junk silver grade coins. Designing of coins had become a distinctly American process, even to the point of holding contests across the nation to discover America's finest sculptors and medalists. An award of a thousand dollars was the common prize and worked to generate coinage that would show the world how unique, skilled and talented our newly independent national culture had become. 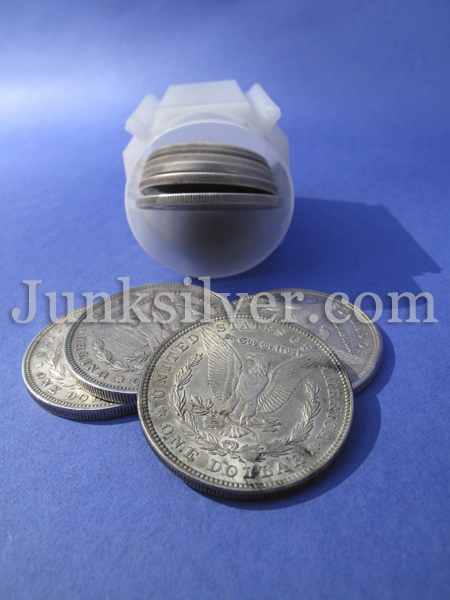 These classic silver dollars had literally become the backbone of daily commerce both nationally and internationally and served in this capacity for decades. 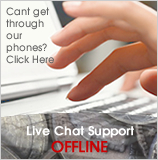 They are highly sought for their silver content: 90 percent silver and ten percent copper. 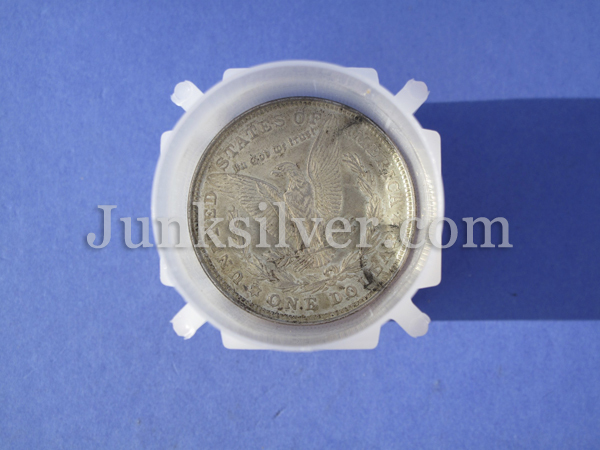 They are also appreciated for their excellence in minting and the leverage they give into the silver market. 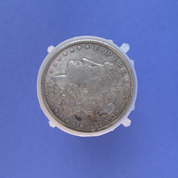 The Morgan had been minted first in 1878, continuing into 1904. It was produced only one more time during 1921. 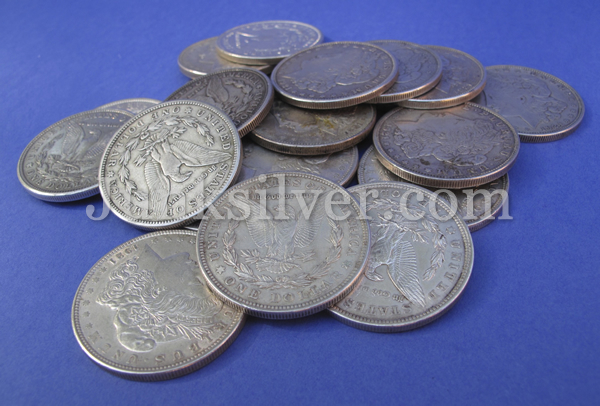 By 1904 the national silver bullion supplies had become depleted. This problem caused the government to suspend silver dollars all together. 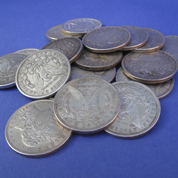 Under the Pittman Act of 1918, over 270 million silver dollars were melted down for their bullion. The American economy was booming after World War I. 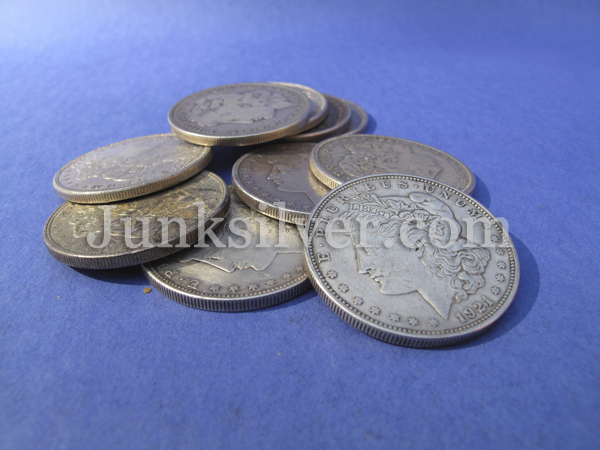 The need for more junk silver dollars in the currency became acute. Some refinements were made in order to allow the resurrected production for less than a full year. This was essentially the place-holder that was to usher-in the new silver Peace Dollar that the public felt a deep need for. The relief America was feeling to be free from the vestiges of a warring nation and the fact that the war itself had been billed as the "War to End all Wars" had caused the people of this nation to spill into the streets in a remarkable show of dancing and celebrating on Armistice Day. 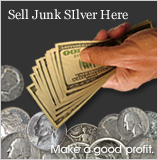 Sell your junk Silver here.